March 3, 1943 was the culmination of the Battle of the Bismarck Sea. 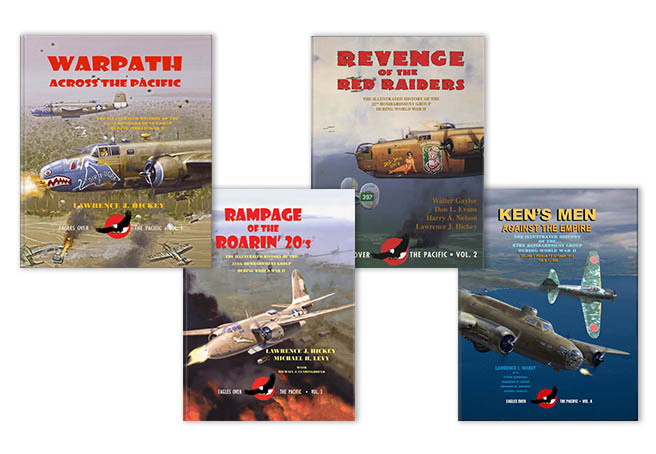 With a story each from the 38th and 43rd Bomb Groups already told, we wanted to highlight the participation of the 3rd Bomb Group. The following is taken from the 90th Squadron’s history and a diary entry from Lt. Lee S. Walter, who was a pilot with the 13th Squadron. A ship from the convoy burns after it was hit by Allied forces during the Battle of the Bismarck Sea. “It promised to be a very big show and the mass of airplanes was an exceptional sight by itself. The sky seemed almost black with them. Everywhere I looked I could see at least one flight of some type of airplane…We kept circling in one huge circle until it was certain everyone that was coming was there. Then the B-17’s headed out to meet the convoy and the circle we were in straightened out. Much the same as you would see if you took the loose end of a coil of rope and started pulling. 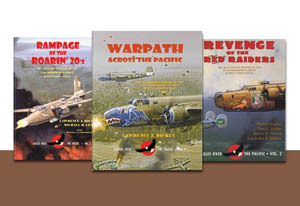 This is undoubtedly the largest Allied air offensive ever put into the air at one time here in the South West Pacific. It must have affected everyone the same as it did me. 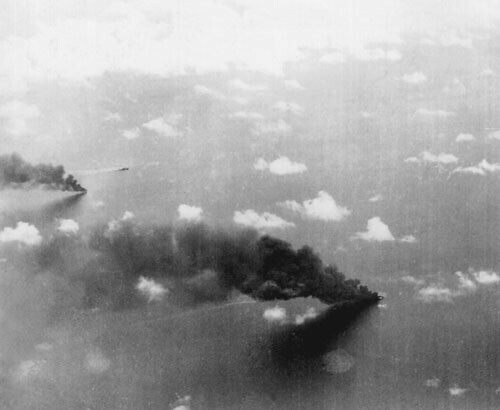 The results of the Battle of the Bismarck Sea were devastating for the Japanese and a tremendous show of Allied air power. It was the first time skip-bombing had been put to the test on a large scale and the experimental tactic would be used by B-25s and A-20s for the remainder of the war.